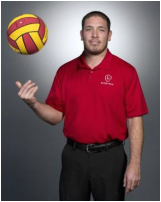 Steve Carrera is currently the Head Boys and Girls Water Polo Coach at Orange Lutheran High School. Steve has been charged with starting Orange Lutheran's first water polo program in school history. In 2016, Coach Steve was named CIF Division I Coach of the Year after leading the Orange Lutheran Girls Water Polo team to a CIF Division I Championship (recap video). He was also named 2016 Orange County Register's Coach of the Year for girls water polo. In the fall of 2016, Carrera led the Orange Lutheran Boys Water Polo team to a CIF Division I Championship over rival Huntington Beach (recap video). In 2016 USA Water Polo honored Steve Carrera with two national awards. Steve was awarded with the Doc Hunkler Award which honors a women's coach whose performance exemplifies leadership, excellence and sportsmanship. He was also awarded the Bill Barnett Award which recognizes an outstanding men's coach in the zone. In 2015, Steve Carrera was the recipient of the National Double Goal Coaching award by the Positive Coaching Alliance and was also named Orange County Register's Coach of the Year for boys water polo. Prior to coming to OLu he was the Head Men's and Women's water polo coach at Concordia University. In 2007, Steve was hired to start the first water polo program in Concordia's history. His stint at Concordia was very impressive going 109 - 48 on the Men's side and 65 - 58 on the Women's. The Concordia Men were ranked as high as 8th in 2009 and as high as 6th in the Country in 2011. Steve coached over 30 Academic All Americans and 11 All- Americans during his time at CUI. Concordia won the NAIA championship 3 times in a row on the men's side and were runners up 4 times on the women's side. Steve was interviewed by Water Polo Planet noting the unprecedented success of the Concordia Water Polo team into top National ranks. Before arriving at Concordia Steve was the head boys and girls coach at Northwood High School (2000-2007). During his tenure at Northwood, the Timberwolves went from brand new program to CIF powerhouse. Under Steve Carrera, the Timberwolves never had a losing record, won a pair of league titles (2003, 2006), qualified for CIF 6 years in a row, reached the Division I Final (06) and won the 2006 CIF Masters Southern Section Championship (06). Steve coached All League, All County, All American and All CIF water polo players on both the boys and girls side and in 2006 Steve Carrera was named "Coach of the Year" from the Orange County Register. Steve graduated from Irvine High School in 1995 where he received first team all-Sea View League honors and second team all-CIF honors as a senior. He was also named to the South Orange County All-Star Team. He then went to Saddleback College where he played with his brother, Ed Carrera. After Saddleback, Steve transferred to Queens College in NYC, where he received a full athletic scholarship to play water polo and swim. He was on the inaugural Premier League Division I Northeast team. Steve earned his Masters degree in Education in 2011 and a Masters in Physical Education in 2014. He is a full time Visual and Media Arts teacher at Orange Lutheran High School. He is also the producer and host of a water polo podcast called "Off the Deck" where he talks to other coaches about their experiences in the water polo world. He lives with his wife and two sons in Irvine. 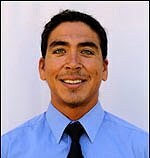 Ed Carrera is currently the Associate Head Water Polo Coach at Orange Lutheran High School. Prior to OLu he was the Northwood High School Head Coach, where he led his girls and boys teams to the CIF playoffs every year, making an appearance in the 2007 D1 CIF Finals and 2011 CIF Semi-Finals game. In addition Ed Carrera is a 2010 and 2012 Member of the Ecuador SR. National Water Polo Team. Ed has been the head coach for the Woodbury Waves (Irvine Swim League Team) for the last 5 years, and guided the Waves to a 2011 Division 4 Championship and a 2012 Division 3 Championship. Collegiate Level, Carrera was the assistant coach at Concordia University from 2008-2010 and from 2010-2012 was the Head Water Polo/Swim Coach at Vanguard University. Carrera has a wife and child, a degree in Business from Concordia, and resides in Tustin, CA. Coach Ed is the program director and head coach of SPEED AQUATICS, a USA Swimming team in Irvine. Chelsea played on the women’s water polo team at Concordia University of Irvine, majoring in Business Marketing. Prior to transferring to Concordia, Chelsea played water polo at Riverside Community College (2009) for legendary Coach Coach Dave Almquist. During her year at Riverside, Chelsea led her team to an Undefeated State title with a record of (32-0). She was named first team All-American, All-Regional, and All-Conference as well as selected 1 of 7 players to earn All-State honors. Harrod was also a member of Riverside’s women’s swim team. During her swimming career at RCC, she qualified for 5 events for the State Swimming Championship. Chelsea placed top 8 in all 5 events as well as earning All-American Honors in (Ind. 50 & 100 yd. Breaststroke, 100 yd. Individual Medley, and the 200 & 400 yd. Medley Relays). Chelsea graduated from Murrieta Valley High School in 2009 where she played for Head Coach Bryan Lynton. During her high school water polo career, her team won Back-to-Back CIF titles in 2007 and 2008. She received All CIF & All American honors. Chelsea began her age group water polo career for Elite Water Polo Club (Murrieta, CA) under Coach Bryan Lynton. Chelsea strives to encourage the youth to pursue their passions, and fulfill their dreams. Harrod firmly believes a strong program emphasizes team togetherness and unselfish play. ​2009-2013 NHS Varsity polo. CIF Semi-finalists 2011. 2013-2017 Whittier College. BA in Sociology. 2013 and 2014 Division 3 National Champions. 2013 and 2014 SCIAC Champions. 2015 SCIAC runner-up. Currently working full-time at Brown & Brown Insurance as a benefits broker. Nestor Nunez is currently the 16 and under coach for Northwood Water Polo Club. Nestor is also an assistant coach at Orange Lutheran High school under Head Coach Steve Carrera and is currently getting his teaching credential. Prior to Northwood WPC, he coached at Northwood High School as an assistant in 2011-2013, under Chris Murin and Jocelyn Manderino, helping the Timberwolves to a Pacific Coast League Championship in 2012. Prior to Northwood High School he coached 14u-18u at Orcutt Polo Associate/One Way Water Polo Club under Rob Knight and Kyle Shaffer. Nestor played on the men’s water polo team at Concordia University of Irvine playing for coach Steve Carrera where the eagles won an NAIA title in 2011. He double majored in Biology and Chemistry and received ACWPL Academic All American honors in 2011. Prior to transferring to Concordia, Nestor played water polo and swam at Cuesta College (2009) for long time coach John Marsh. During his year at Cuesta, his team earned a second place finish in 2009 and a Western State Conference Championship in 2010. Nestor graduated from Santa Maria High School in 2009 where he was a two year letterman and played club water polo at OPA/One Way Water Polo Club under coaches, Eric Tucker, Rob Knight, and Charles Bell. Nestor strives to help develop young men and women of high character with strong fundamentals. "I have been playing water polo since freshmen year of high school. During my time at Golden West HS in Visalia, CA, our team won two division championships (junior year D2, Senior year D1), I also took part in two international tournaments for the country of Ecuador (Lima 2015 Campeonatos Sudamericanos, Toronto 2015 Pan Americans). I am currently attending Concordia University Irvine where I am studying Business Finance and Marketing, and I am starting my junior year this fall and still playing water polo!